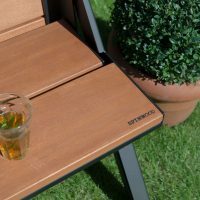 The Spinwood garden bench is an outdoor bench made of wood and high-quality coated steel that, thanks to its clever design, can be transformed into a picnic table in one single movement. 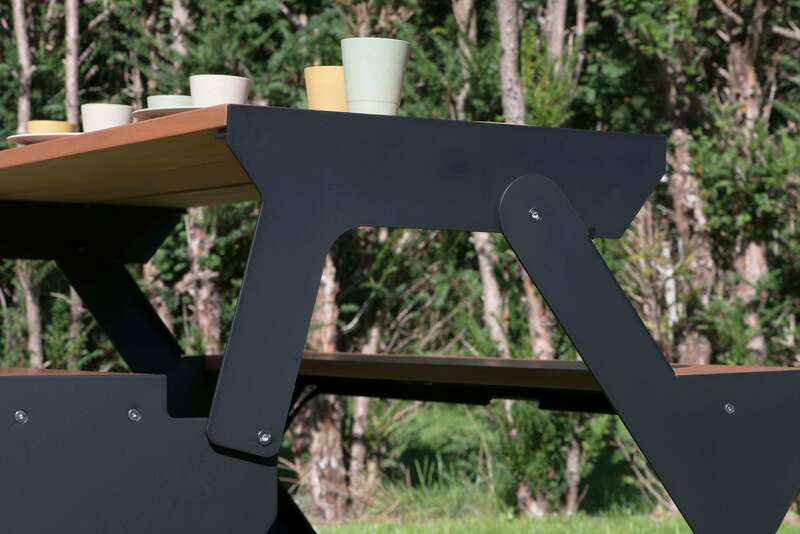 Ideal if you have limited space in your garden or in front of your house and very convenient for your next BBQ or birthday party. 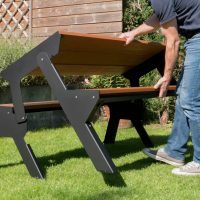 If you always wanted a picnic table, but did not have the space for it, then the Spinwood garden bench could be something for you. 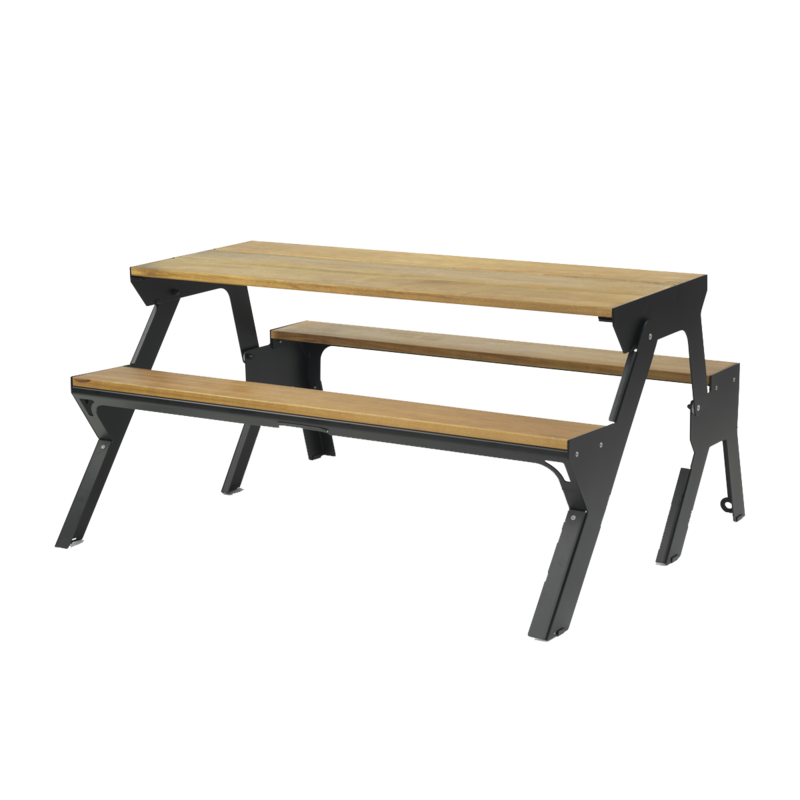 The outdoor bench can easily be folded open to a picnic table. This way you can sit at a table with 6 people in no time. 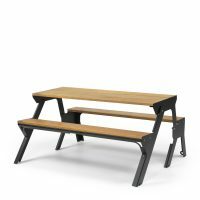 With the Spinwood garden bench you not only have a bench, but also a picnic table. 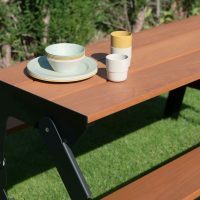 If you want to sit with just a few persons, fold the table into a bench and when you have more than three people visiting, simply unfold the garden bench into a picnic table. 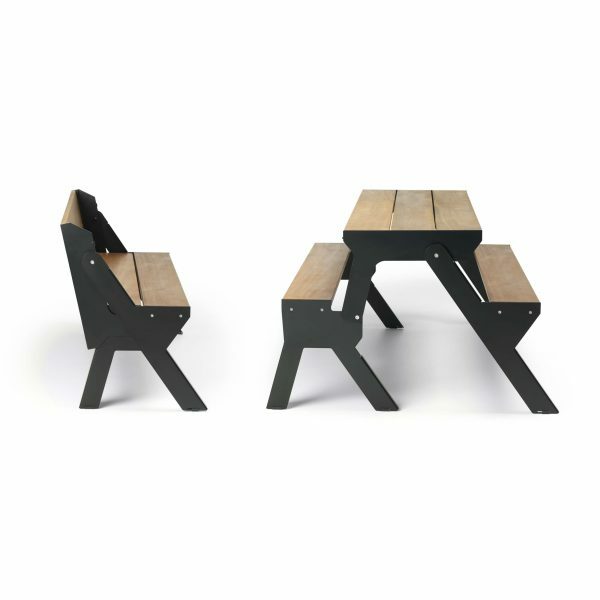 In many cities it’s only allowed to place garden furniture within half a meter of your home. 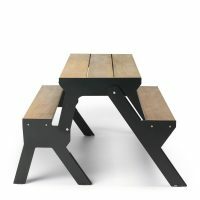 That’s why people choose for one single bench, but what if friends come by and you want to eat outside together? 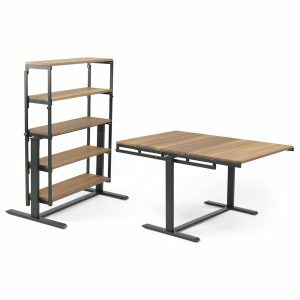 Often chairs have to be moved. 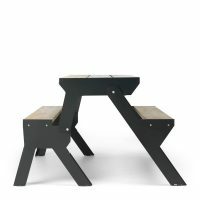 With the Spinwood design bench you have both a garden bench and a picnic table. Imagine this: it’s a pleasant summer afternoon and you decide to enjoy the sun on the bench in your front yard. At dinnertime it is still nice outside. 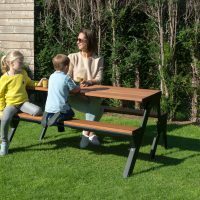 In one single movement you can transform your Spinwood garden bench into a table and the rest of the family can join as well! 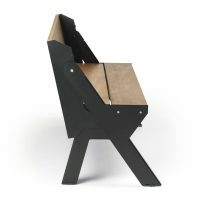 Thanks to the smart design of Dutch designer Ilias Ernst the number of seats will go from 3 to 6! 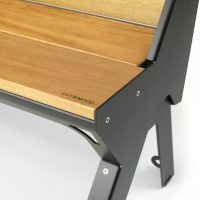 And when you have finished eating, you can fold up the Spinwood garden bench back to a bench. 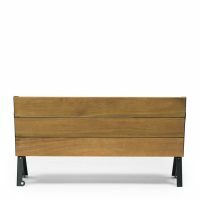 This bench is especially made for the Dutch climate and can therefore be left outside all year round and does not need maintenance. A useful bench that doesn’t take up a lot of space during the day, but enough place to have dinner with the whole family during the evening. 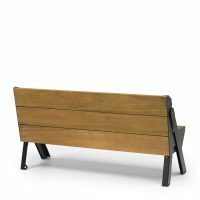 The Spinwood garden bench is made of hardwood and galvanized steel that is finished with a black powder coating for outdoor use. 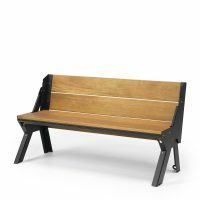 With its sleek design, the Spinwood garden bench adapts to every garden! 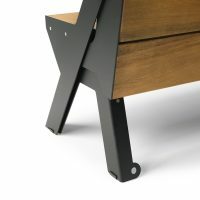 Thanks to the smart design the bench saves a lot of space. 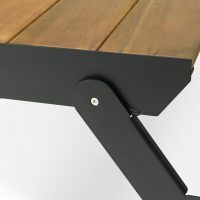 If you do not use the table, simply fold it back into a bench. Spinwood is part of a Dutch family business.